Symbiotes win both rounds. They're physically superior and much more versatile.
" @Decoy Elite: There's only one round. " Oh, I saw regular and bloodlusted so I assumed there was two rounds as their no reason to really bloodlust team 2 anyway. is this Spider-Man with the Other Powers? Most probably the Symbiotes. 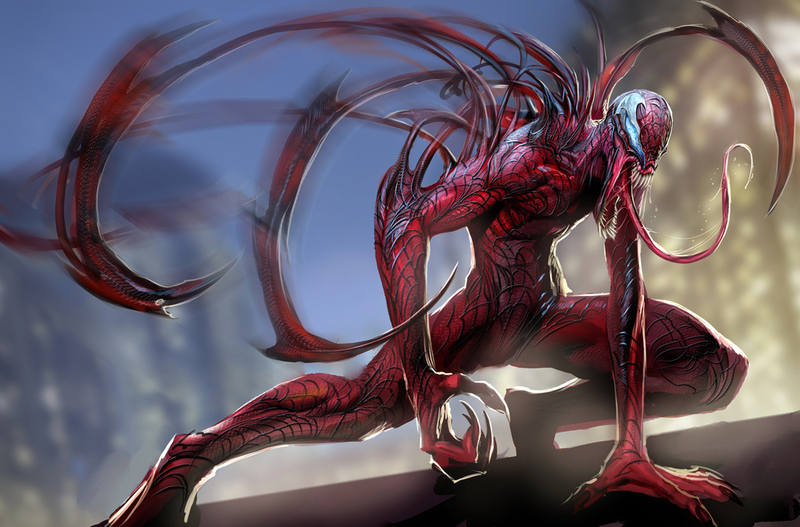 Btw cool Symbiotes pics. if peter has his other powers plus the iron suit, it should be nice match eddie but a prelonged curb stomp for carnage. Oh, I saw regular and bloodlusted so I assumed there was two rounds as their no reason to really bloodlust team 2 anyway. " Reason i put blood lust on for team 2 is because team 1 might be able to use that to their advantage since spidey tends to fight smart. "if peter has his other powers plus the iron suit, it should be nice match eddie but a prelonged curb stomp for carnage. 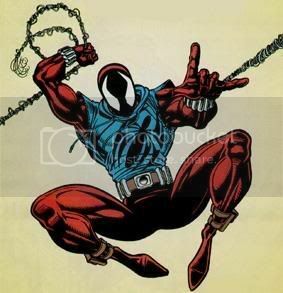 if this is current pete, then it's a stomp for the Symbiotes "
Yes it's the Pete with "Other" powers.
" if peter has his other powers plus the iron suit, it should be nice match eddie but a prelonged curb stomp for carnage. if this is current pete, then it's a stomp for the Symbiotes "
IIRC, wasn't there a time Ben managed to physically rip the Venom symbiote off of Brock? It's been a long while since i've read that series. Since the symbiotes are bloodlusted, though, i'd be inclined to go with them. As stated, they're more versatile. That's an awesome pic of Iron Spidey, btw. Spider-Man with the other and bloodlusted should slaughter Eddieand dont come with ''he cant hurt Eddie''....he injured the other Venoms (Angelo Fortunato and Mac Gargan) who are stronger than Eddie Brock "
Sorry but Team 1 does'nt have blood lust. Only team 2. Actually I was gonna point out that eddie's strength was 11 to 15 tons, but wouldn't say it would be a stomp due to eddie knowing how to use powers in greater effect than Angele and Mac i.e. tendrills down the throat. Anyway how do you think pete gonna cope with carnage? 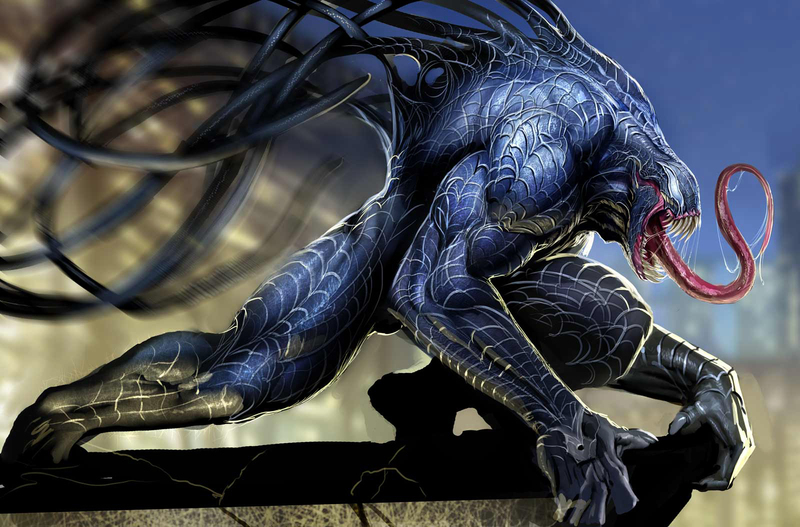 Both Gargan and Forunato were borderline retarded with the symbiote. Eddie would have a though time against that version of Spidey but he'd still come out on top. Due to his other abilities(which Gargan and Fortunato didn't use) "
" @Matezoide: Actually I was gonna point out that eddie's strength was 11 to 15 tons, but wouldn't say it would be a stomp due to eddie knowing how to use powers in greater effect than Angele and Mac i.e. tendrills down the throat. Anyway how do you think pete gonna cope with carnage? " as for Carnage....no ideia,who has been able to injure him in the past?
" @Matezoide: Eddie is more prone to sneaking(what Fortunato tried to pull) but is also the most experienced of any sybiote when it comes to combat. Strength is not an issue when Eddie can just use some of the methods of attack that Spidey can't counter(such as slicing open his mask and then stuffing symbiote goo in his mouth until he suffocates) "
Brock could do the same to be honest. that is,if he can manage to hit him like that "
He can by sneaking up behind Spidey and then pulling off that maneuver. Brock could do the same to be honest. ( also i think you mean camouflage instead of invisible ) =] "
He can by sneaking up behind Spidey and then pulling off that maneuver. " @Matezoide: Oh, in the context of this thread? Carnage kills Ben(mega sad face :() and then the symbiote's double team Spidey.
" @Matezoide: Oh, in the context of this thread? Carnage kills Ben(mega sad face :() and then the symbiote's double team Spidey. " @VenomX10: Why everybody says just sonic Waves?
" @VenomX10: Why everybody says just sonic Waves? Remember all my scans of Venom resisting fire a few weeks back? But honestly, Ben's 10 TON class doesn't help here. He could easily get double teamed and killed if Venom and Carnage rushed him. The fight would turn into Spider-man vs both of the symbiotes. Spider-man with his other powers and the Iron Spider suit (which also increases his strength from what I can remember... not sure...) could defeat Venom and Carnage 1 on 1 though. The symbiote itself looks like it's resisting the fire pretty well in those scans. but yeah, I have other scans of Venom bragging about his better resistance to fire too. I think he and the symbiote developed it together throughout their adventures. Venom (Eddie) also went from 11tons to 25tons and I wouldn't be surprised if he surpassed carnage since he has punched and one shotted enemies on Carnage's level like that female carnage look alike. But those were all terribly written arcs that Venom has been apart of for many years. Thanks for clearing up the Iron Spider suit, for some reason I though it made him stronger but it just made him a but more durable. I dont think anyone has mentioned the most important thing here, team work. Ben and Pete would work together pretty well but carnage and venom work as well together as water and oil. Not to mention the suit and spider sense. I think team work and tech will allow pete and ben to pull this in for a win. Unless Spidermen get prep, symbiotes win both round.